"Whatever happens, Hot & Crispy fries!" 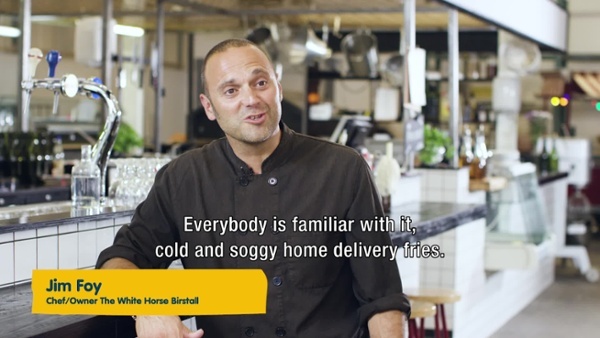 Our Hot2Home™ concept is the first one-fry solution for home delivery, take-away and in-store dining. It enables you to provide your customers with fries that stay hot & crispy for 20 minutes. Discover how you can serve the best quality (and taste) anytime, anywhere. I Want to test this now! Revolutionary coating that ensures a holding time of 20 minutes. Developed for home delivery, take-away and dining in. Available in cut sizes 6x6 and 9x9. The tapered conical design and holes create a chimney effect that ventilates the moisture from the fries. Cup can be fully branded per customer. Single portion cup, 150 gram. I wanted to create a innovative package design that would really keep fries hot & crispy. 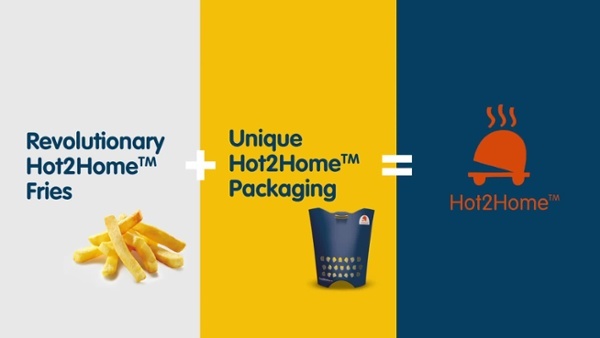 Hot2Home™ is the winning combination of newly developed fries with innovative packaging to keep them hot & crispy for 20 minutes. 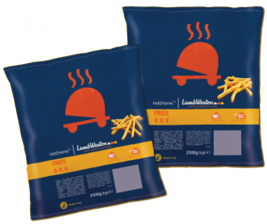 The revolution in fry-tastic fries, whether you serve them on a plate in your restaurant or from a delivery bag at home! 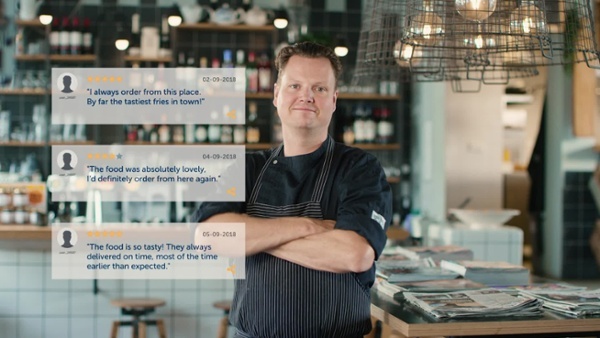 Chef Jim Foy, from The White Horse in Birstall, faced a challenge in delivering the same quality food at home as he serves in his restaurant. With Hot2Home™ tasty and crisp-quality fries, his customers will never have to settle for soggy fries again! Hot2Home™ doesn't just add quality to your dishes; it also boosts your delivery range thanks to fries that stay hot & crispy for 20 minutes. Increase your business with more customers and get the best reviews in town with the perfect taste of Hot2Home™.